It's time ... the Christmas gift guides have begun!! Who is excited for Christmas? Oh wait .. sorry, what a silly question .. of course you're all excited! It's the BEST time of year! 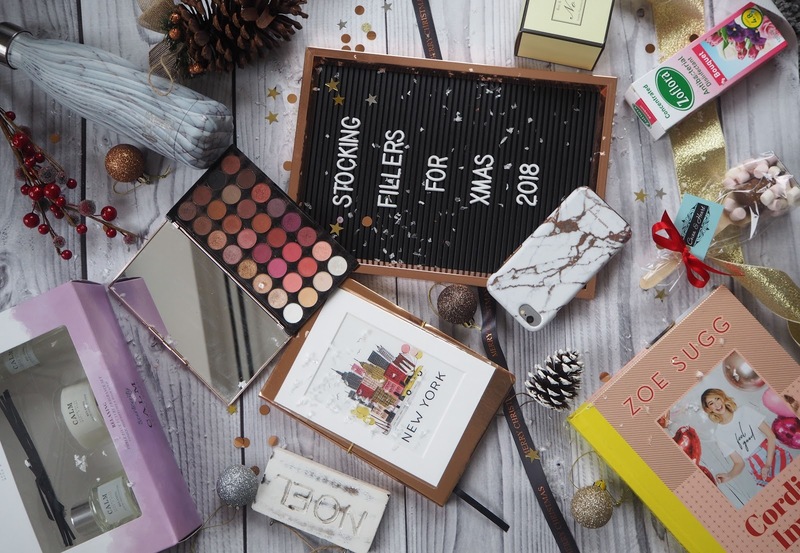 Anyway, to get you started in the festive spirit, I'm bringing you the first of the gift guides; stocking fillers under £15. I love buying presents for people and at Christmas you can't beat a good stocking at the end of your bed ahead of opening all your presents under the tree! 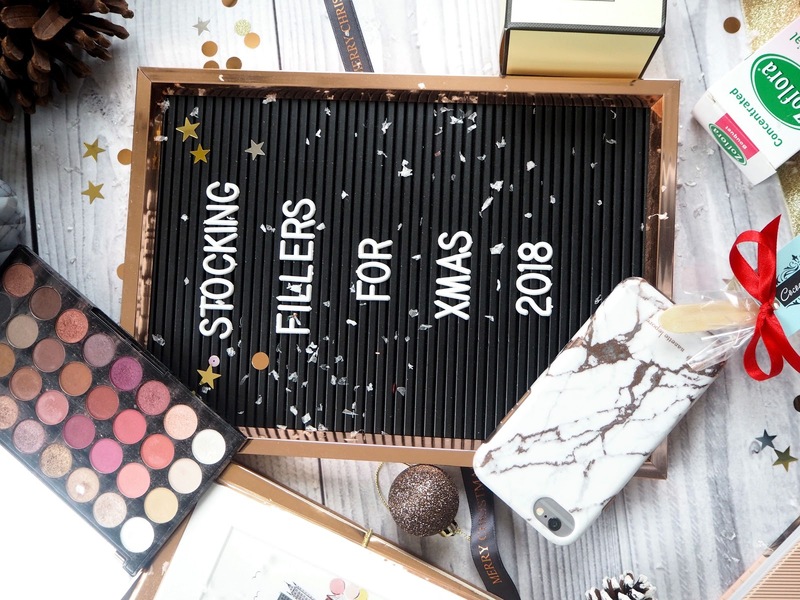 In this Stocking Filler gift guide you'll find gifts for the stationary lover, something for the home, beauty gifts and keep sake treasures. You can't go wrong with a makeup palette for any beauty lover and Revolution makeup is SO affordable. This Flawless 4 palette is only £8.00 and you get 32 shades! 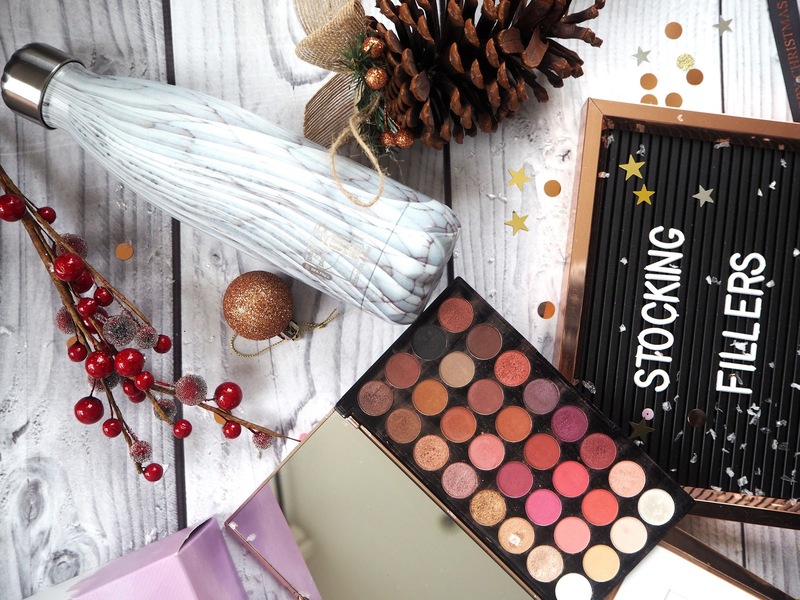 The colours are gorgeous for the festive season and you get a mix of matte and shimmer shades too so it's the perfect stocking filler gift! You can purchase it directly from the Revolution beauty website or from a local Superdrug too! These Chilly Water bottle are all the rage at the moment. If you're wanting to try and reduce your plastic consumption but also want a cute water bottle then you need one of these in your life. They say cold for 24 hours and hot for 12 so it's the perfect bottle for camping trips or if you're on the go! If you've joined the Mrs Hinch hype (obviously you have because if not, have you been hiding under a rock?!) then Zoflora is the perfect stocking filler gift! I have an unhealthy new found obsession with Zoflora's and have now got a range of the scents; including the limited edition festive scents! Bouquet is one of my favourite scents and one that everyone will love! 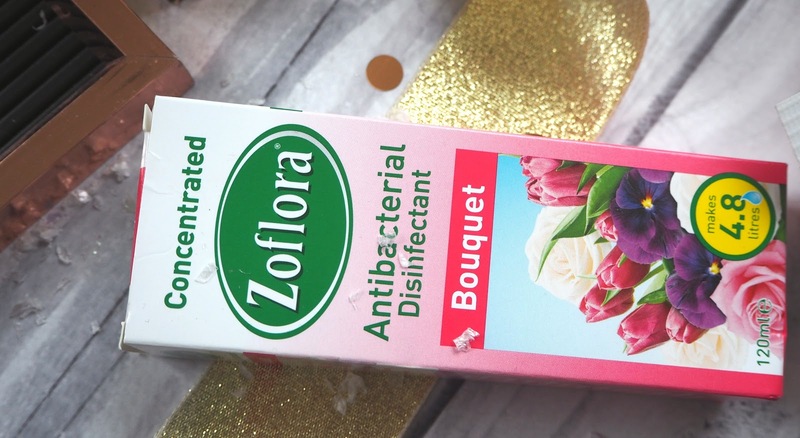 Purchase Zoflora from most supermarkets but I tend to go to Poundworld as they are the cheapest! Gifts for the home are always a winner in my eyes. A lot of my friends are in the stages of buying homes so I think candles and difusers are a great present to give to someone. You can get some many out there but I like this set from Scentcity as it comes with a room spray too. It's such a thoughtful yet affordable gift and something that will last someone a while! Like Jo Malone candles? Don't like the price tag? 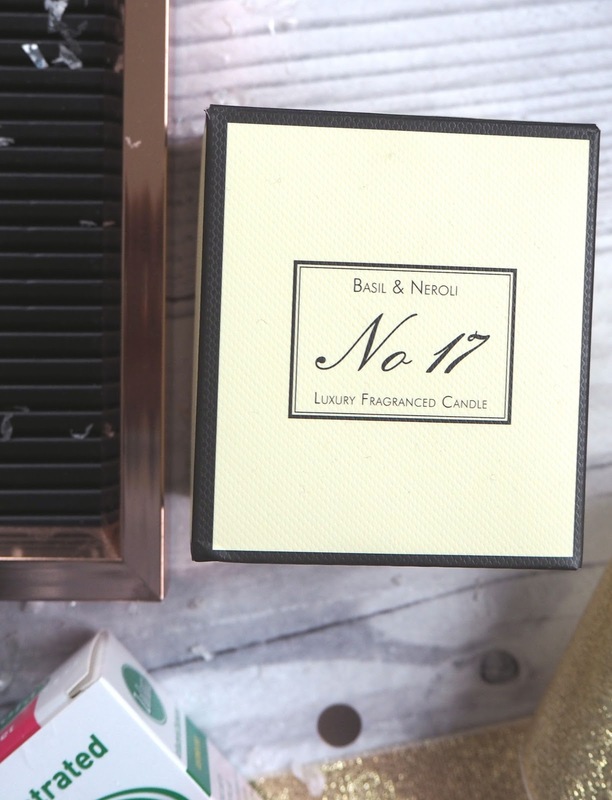 Why not head down to your local Aldi and pick up one of their dupe candles? They have so many different scents including Peony Blush (my all time favourite), Lime, Basil and Mandarin and Pomegranate Noir! The candles vary in size so you can either get the smaller size for £3.99 or the large center piece for £9.99 - bargain! I absolutely love these peg boards. I got mine from Primark a while back but they still sell them now and you can pretty much get them from anywhere! They're only around the £6 mark which is such a bargain and they look amazing displayed on a shelf or propped on your beauty desk. I like the fact you can switch up the text on it and write your favourite quotes or a message for your guests! It's a more sophisticated version of the light up boxes. I love using this for blog posts too! You can't go wrong with a notebook can you? There are SO many out there. I love any kind of notebook and am an avid list writer so am always looking for more! I love this classic rose cold notebook from Boux Avenue. It's so pretty and would look amazing in an office on a white desk with rose gold accessories! It's no secret that I love prints. I cannot wait to buy a house next year so that I can shop at Desenio and turn my home into a gallery! I love picking up prints from different trips we go on and found this cute little A5 print in New York. 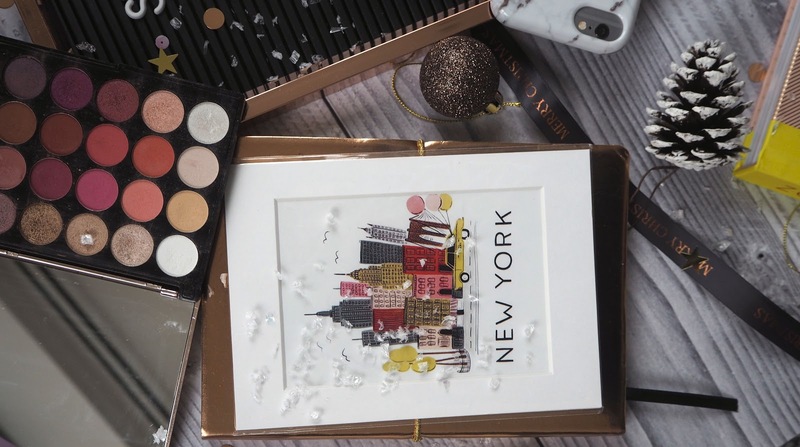 It's the perfect gift for someone who you share a memory with of the city or just anyone in general who loves New York. You could even buy a frame too! A phone case is a great gift. You can get personalised cases these days too and I love them! I particularly love marble print and rose gold so when I found this phone case I couldn't leave it behind! Phone cases are a brilliant gift idea because you can tailor them to the individual. If your sister loves avocado's, buy her a case with them on! I had the Zoella book on pre order for the best part of last year and was so excited when the book arrived. Cordially Invited is a great gift for those that like to be organised and plan events! 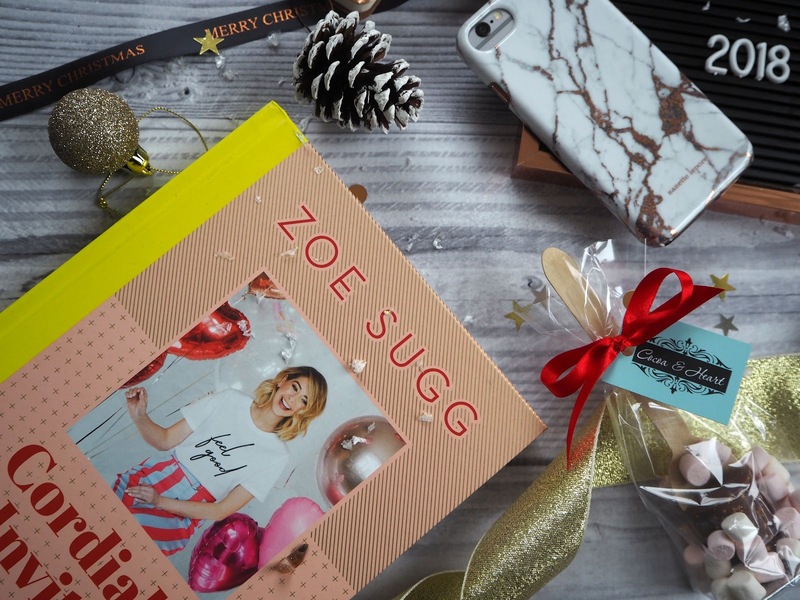 If Zoella isn't for you, a book in general is a great gift. We get a book every year in our stocking filler and it's a great idea because you can tailor the book to the person you're buying for! You can't beat Chocolate in a stocking filler. You could literally pick up any kind of chocolate to add to the stocking; whether that be your favourite Galaxy or Cadbury's kind, something with a bit of alcohol like gin flavoured chocolate or something a little more adventurous like a unicorn chocolate bark from Cocoa and Heart. 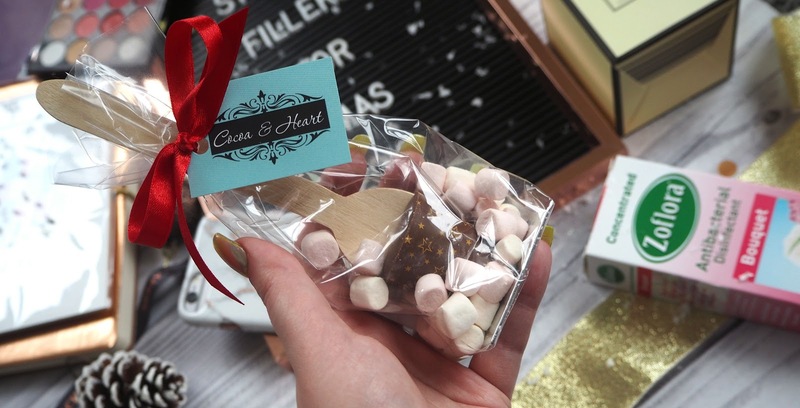 I love these little hot chocolate spoons with marshmallows too- they are perfect for kids, teens and even adults and would be great for a christmas eve box or stocking on christmas morning! You can get 10% off all orders with the code XMAS18 (valid until 31 January 2019) and if you're wanting to pay a bit more for the perfect gift for a chocolate lover (and you live in the South East) the code is also valid on the Chocolate Courses where you can go along and learn how to make your own chocolate!! There are SO many great stocking filler gifts out there these days. I love shopping on Amazon, B&M, Poundland, Aldi, Matalan and Primark for stocking fillers. I hope some of these ideas have helped you with your stocking fillers! Let me know if you get any of the above in your stocking this year or if you buy for anyone! These are some such great ideas, thanks for sharing!